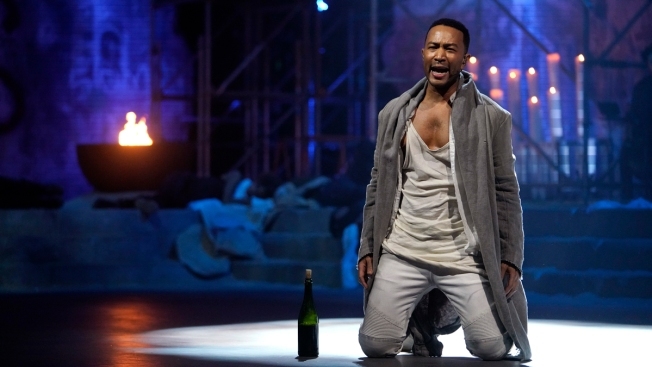 John Legend played the role of Jesus Christ himself in the Sunday, April 1 live performance of Jesus Christ Superstar in Brooklyn. "Jesus Christ Superstar Live in Concert" looked ambitious on TV, but to see it in person in a warehouse in Brooklyn is another story. NBC's Sunday, April 1 live production starring John Legend, Sara Bareilles, Brandon Victor Dixon and Alice Cooper basically went off without a hitch in person, save for one missing whipping of Legend's Jesus Christ toward the end of the show. If you watched at home, you didn't see the enormity of the stage and its rafters full of musicians — it was a sight to behold. The applause Bareilles and Legend got whenever they entered or exited stage. Bareilles played back to the audience and mouthed to them after a few screams of "We love you Sara!" The impressive dancers rehydrating at every chance during the break. The amount of man buns the disciples/dancers had. Just in case you forgot you were in Brooklyn. Legend receiving a standing ovation during "Gethsemane (I Only Wanted to Say)." Alice Cooper's massive standing ovation during "King Herod's Song." He commanded attention when he first appeared and held it throughout his performance. The amount of effort that went into cleaning up all the glitter. A vacuum was brought out after Judas' sacrifice — and there was still glitter on the stage. Nice to see "Jesus Christ Superstar Live in Concert" also suffer from the same problems many of us have when glitter is used anywhere. The dancers/disciples pumped up the crowd before coming back from commercial break. Dixon's family absolutely enjoying themselves during his big numbers toward the end of the show. 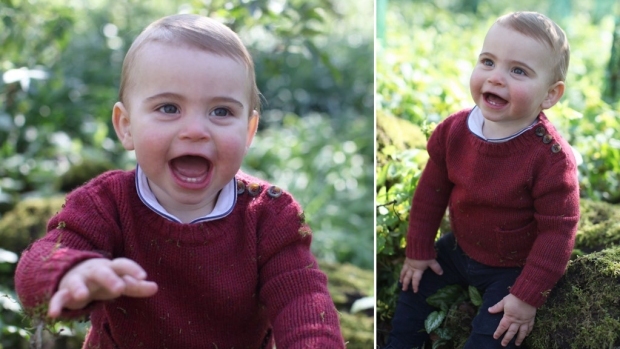 They made the whole thing better. The crucifixion scene had Legend extremely high up in the theater. Like, even more so than what you saw on TV. Dude was soaring. If you had trouble hearing vocals over music, you weren't alone. Some voices were lost to the instruments in person too. E! and NBC are both part of NBCUniversal.